Trout Unlimited (TU) and the Lower Grand River Organization of Watersheds (LGROW) are working with Blandford Nature Center to offer STREAM Girls, a watershed‐based education program for middle school girls. The program employs STEM education (science, technology, engineering, math) plus recreation and arts to explore a local watershed. During the program, girls assess a community stream, sample macroinvertebrates, journal and sketch their experiences, tie a fishing fly, and learn to cast a fly rod, ultimately providing the girls with an introduction to STEM in a fun, meaningful, and supportive way. The program instills in participants an interest in science and a confidence in STEM-related learning while also connecting them to their community’s watershed. Research has indicated that girls are interested in STEM fields and STEM careers, but need more exposure and adult support to carry this interest into the future. 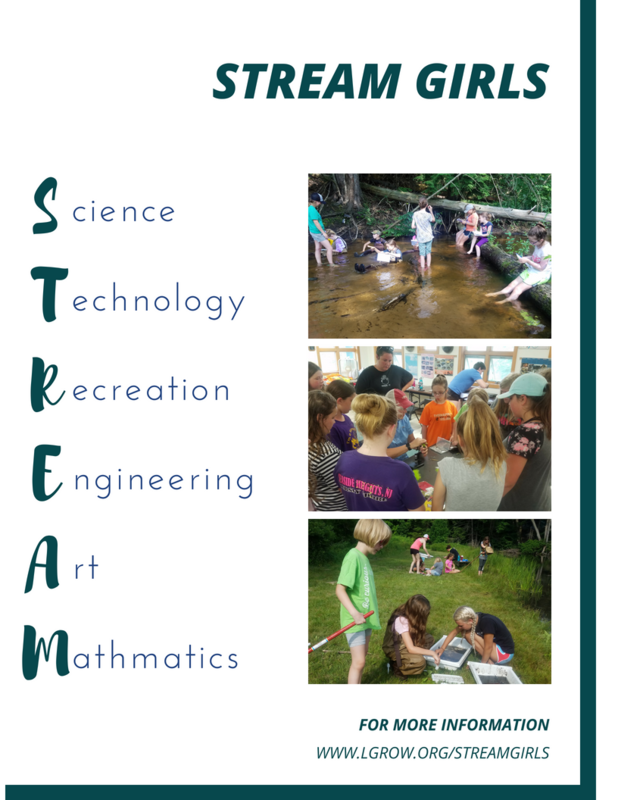 Through STREAM Girls, TU, LGROW, and Blandford hope to foster young women who are more interested in science and math as well as mindful stewards of their community’s water resources.